"The objective of Tradelocks over the next few years is to become more and more important to our customers on a daily basis", says the firm's Ben Jennings. 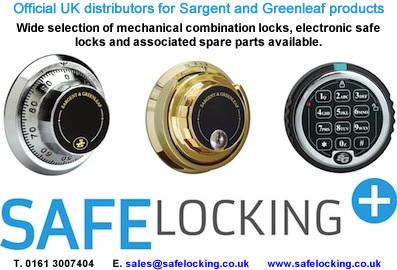 One of the top rated locksmith service provider in Australia has become the first provider to offer its services 24/7 in a move the provider says will increase its reliability score in the coming few months. SafeZone-edge from Digital Barriers combines outstanding detection reliability with affordability and simplicity. It offers a genuine alternative to costly and complex server-based intelligent video analysis (IVA) as well as lower cost but unreliable video motion detection (VMD). AMG, the British manufacturer of CCTV transmission solutions and sophisticated 5 Megapixel cameras, has entered an agreement with Norbain SD Ltd. The agreement will see AMG's PanoCam360 series of 5 MP cameras integrated into Norbain's product range and marketed to all major Systems Integrators in the UK. When asked if he had achieved everything he set out to achieve, Jenkins said, "Our plans for global success are now bearing fruit. America, South Africa, Dubai, Kuwait and India are just 5 of the countries we have a strong and growing presence in." The Ministry of Justice has announced that enforced subject access requests will become a criminal offence under new legislation set to be introduced on 1 December 2014. Enforced subject access is where individuals are forced by someone like a prospective employer to make a data protection subject access request and reveal the results to them, typically in relation to criminal conviction data. New 3D Group catalogue out now! 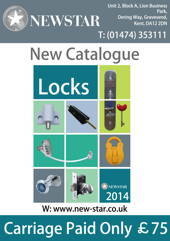 3D Group are delighted to launch their NEW 2014 catalogue! "After listening to customer feedback the new catalogue boasts several new features and we believe this is the best version yet", says the company's Rebecca Lee-Jones. "The catalogue is now A5 size. 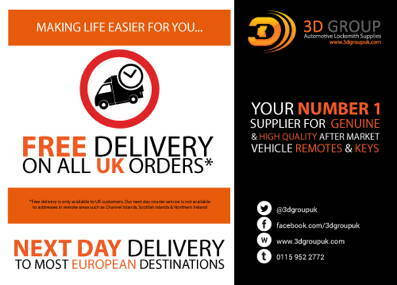 We know how important it is for our customers to be able to have the 3D Group catalogue out on the road, many refer to it as their 'bible', so it's now the perfect size to fit in your glove box.